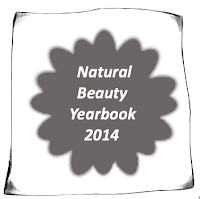 This past Tuesday I was lucky enough to be invited to the Natural Beauty Year Book 2014 book launch. This is a big important event in the world of natural and organic beauty and I was thrilled to be invited an so excited to go! The launch party was held at Whole Foods Market in High Street Kensington. If you have never been there, you need to go, it is sensational. I could live in there, i feel like every time i go its a whole new experience! The launch was co-hosted with WFM and Melvita, a huge natural brand that i am very fond of and they had lots of their great products on show. We were treated to lovely drinks and nibbles and i got to mingle with some incredible people! It was amazing putting faces to names and to be around people who inspire me and who really know their stuff in the beauty world. The run down of the top 25 natural beauty personalities were announced and everyone up there truly deserved to be there! After the awards I got to enjoy a lovely hand massage with some of Melvita's lush hand products. On one hand it was cleansed and then Melvita's L'Or Bio Extraordinary Oil was applied and my hand gently flexed and massaged. The oil was a dry oil and completely non -oily and sunk in really quickly. on my other hand i had the same treatment but instead of the oil they used Apicosma Hand Cream which smelt absolutely divine! I loved this hand cream the best. It is made with three types of honey (Acacia, Orange Blossom and Thyme), Shea Butter, Cocoa Butter and Royal Jelly. Love! Of the two this one won me over, but I would definitely try the oil as a body oil for sure! At the end we were all given a copy of Natural Health Magazine from the natural health team and also were sent home with a wonderful goody bag which was really kind of them. The bag had some lovely products in it including Melvita's Eau de Fleurs Oranger (Orange Blossom Floral Water) for the face and body and a Melvita Rose Discovery Kit which includes: Fresh Micellar Water, Moisturising Rose Nectar, and Moisture-replenishing Night Nectar. I've never tried a micellar water and there is so much hype about them, I can't wait to give it a test! 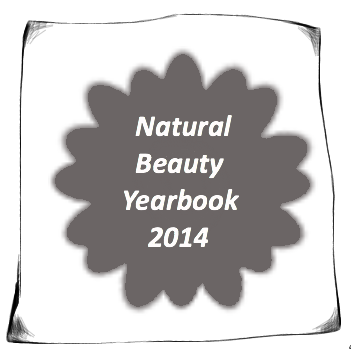 Also included was our own copy of the Natural Beauty Year Book 2014! Amazing! In it there's the top 25 who's-who in the natural beauty world and literally the best and most comprehensive collection of natural and organic beauty brands and companies! Hundreds of them, it's incredible and boggling! it also includes great little interviews and articles from people across the whole area of natural beauty. The highlight for me? At the back of the book, included in all this amazingness is a section for natural bloggers and i am so so so happy to be included right there in that list! Amazing, my little blog is alongside some smashing natural blogs, many of which i follow and admire and it makes me so happy to be listed in their company! I literally can't say thank you enough to all the teams involved, Melvita, Whole Foods Market, Natural Beauty Year Book, Diversified and everyone else. It was a lovely evening and I am so grateful to be included in it.